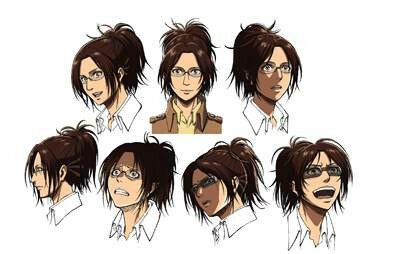 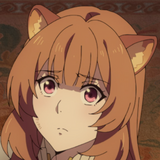 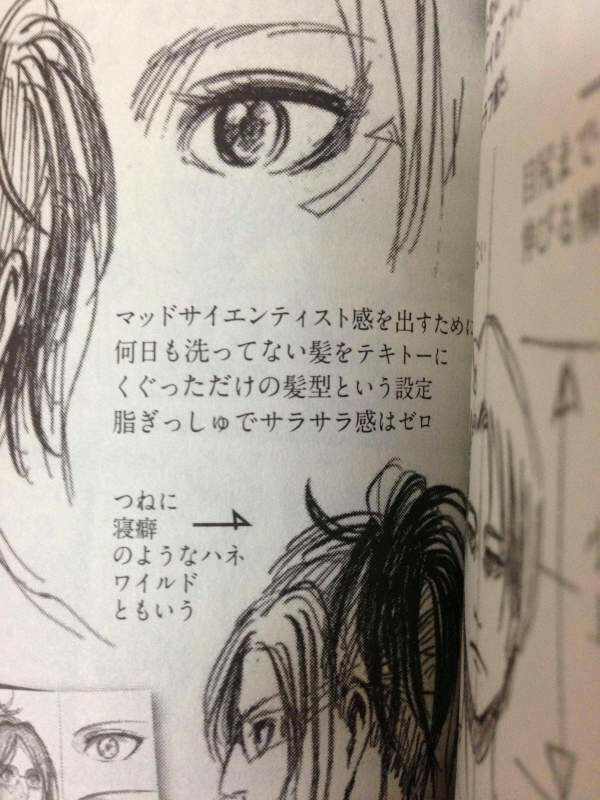 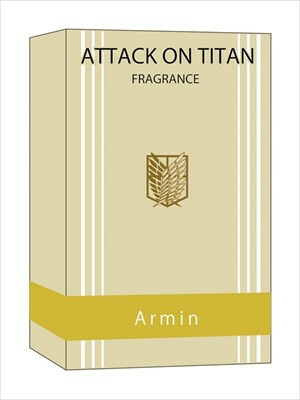 Last fall, when Cafe’ Reo began offering Eren, Mikasa and Levi Eu de Toilette Attack on Titan inspired perfume, I joked that you shouldn't expect a Hange scent considering that, according to design notes, her hair is supposed to look like she hasn't washed in days. 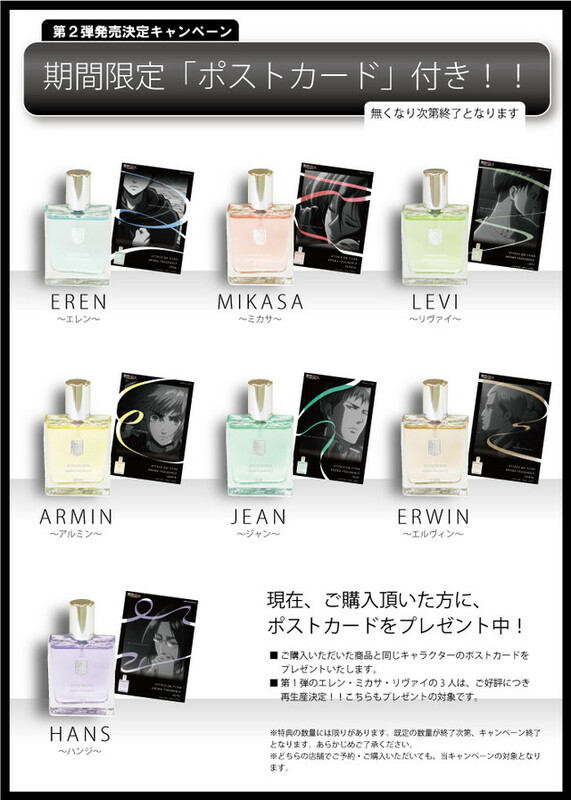 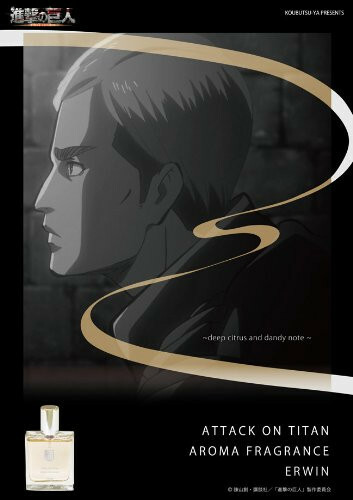 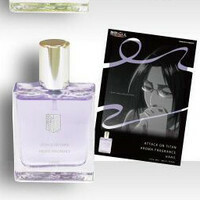 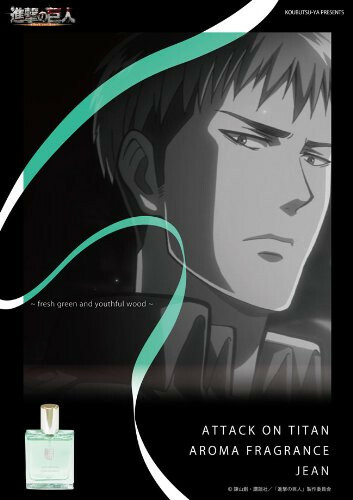 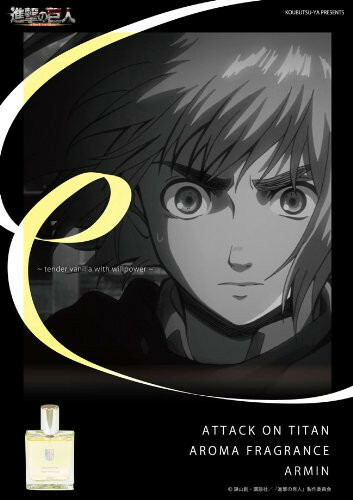 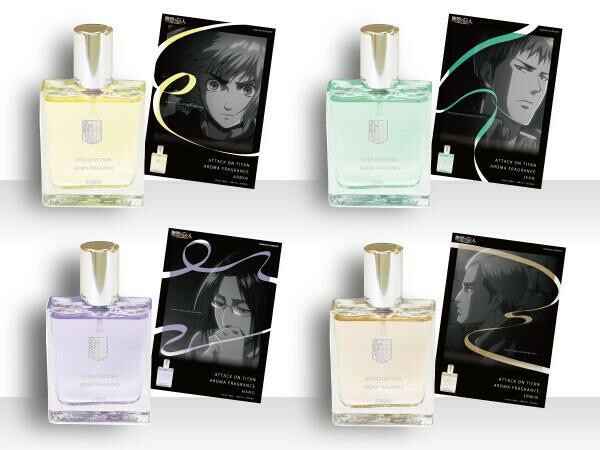 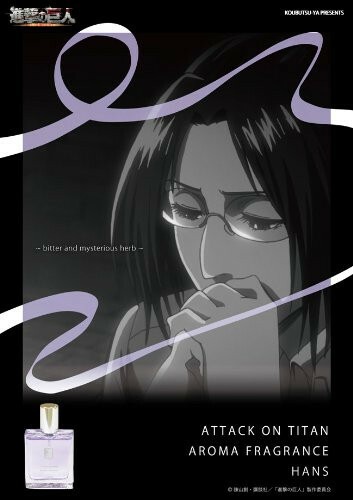 Well, there's now Hanji perfume, along with Armin, Jean and Erwin. 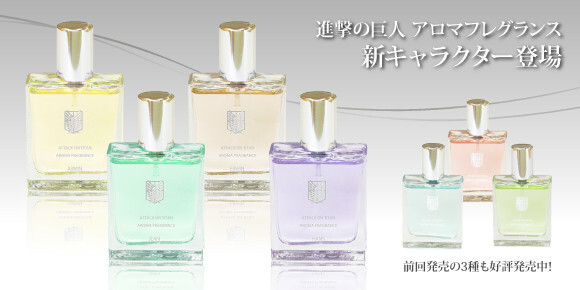 Shipping in July, these sell for 5,500yen for a 30ml bottle. 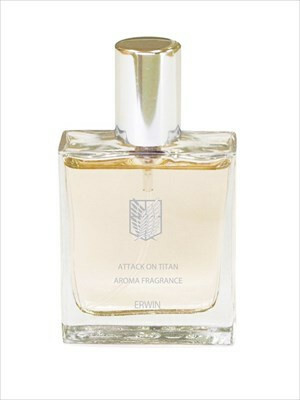 Armin is meant is evoke will with kindness with fruit and vanilla above floral rose and cedarwood. Jean has the scent of youthful spirit with citrus on top of lavender and musk with sandalwood. 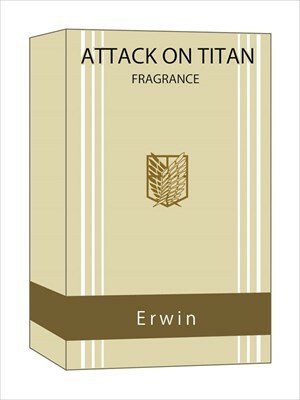 Erwin has a masculine scent mixing rose and woody fragrance, with a bit of patchouli spice. 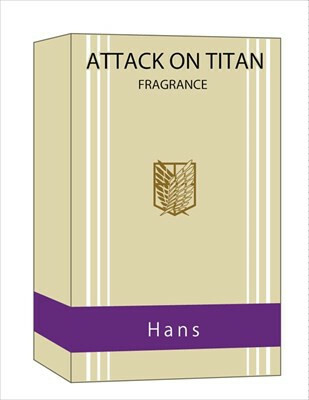 Hange smells like sweat and crazy... or an evocation of passionate inquiry with mugwort and lime, above lilac, cloves and other floral scents and vanilla with musk and sandalwood.